I think these days, at least in this middle-class white man's perspective, Nina Simone will be remembered far more for her music output than she ever will as a political activist. This show therefore, helped me to understand and to redress the balance. The play, which has evolved and re-evolved over several years, and is a co-production by The Unity Theatre in Liverpool and The National Touring Theatre of Sweden, Riksteatern, is an 80 minute long cri-de-coeur by solo performer Josette Bushell-Mingo. Further, this is not theatre as we know it; instead it is a heady mix between a university lecture and a smoky bar-room cabaret. Bushell-Mingo's powerful and electric performance had, at several points this evening, the audience hanging on her every word. Not a sound could be heard from the auditorium; not a paper rustle, not a cough, not a seat shuffle. These moments don't happen very often in theatre, but when they do they send shivers down your spine. She commanded the stage speaking passionately and informatively about the persecution of blacks, and how Nina Simone had awoken that passion for revolution and change in her, and how Simone herself fought for equality and freedom from a US that was at that time segregated and racist. She also poses the unasked question within us; are things so very different now? Have things changed completely or is there still a lot of changing to be done? Dressed and looking like Nina Simone, Bushell-Mingo commanded the stage with her poignant, hard-hitting routine which most definitely came from the heart. And on a simple, almost bare stage, she talked with the aid of period footage and photos, laughed, cried and sang her way through her one-woman show. 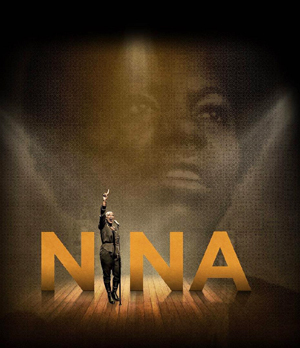 We learnt a little about Nina Simone along the way (her first concert, her relationship with the church, her love of Bach), but we learnt much more about our speaker and performer and her relationship with life, God, family, and how being black in a white world has shaped her every thought. The final 20 minutes of the play is given over to her singing songs which made Simone famous, and Bushell-Mingo sang them in Simone's style too making it a real 'homage' to the 'Goddess of Soul'. This, in my opinion, went on just a little too long, but as the standing ovation and her encore attested, this was one lady who could command a stage and hold an audience to ransom. Accompanying her in her music was a three-piece band who were on stage all the time and played throughout, underscoring some of the sequences as well as backing Bushell-Mingo's vocals. They were Shapor Bastansiar, Shaney Forbes and Neville Malcolm.